Your woodlot is an amazing place. It contains a rich mixture of many forms of life – from tiny animals in the soil, to towering trees, and other plants and animals that make up the forests of Nova Scotia. The forest is a complex web of life. Everything that lives in the forest interacts with other components, and life and death are everywhere. Your woodlot is a small part of a much larger forest that extends throughout Nova Scotia, across Canada and around the world. Understanding the basic ﬂow of energy in nature, and how the cycling of nutrients occurs on your woodlot is important to making the best decisions possible for managing your woodlot. 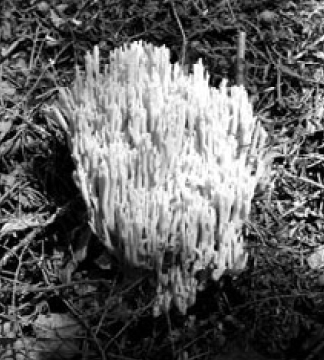 Figure 2 - Forests have many unusual forms of life, like this coral mushroom. Forests mean different things to different people. To some, forests are places to enjoy peace and quiet. To others, forests are sources of work and income. 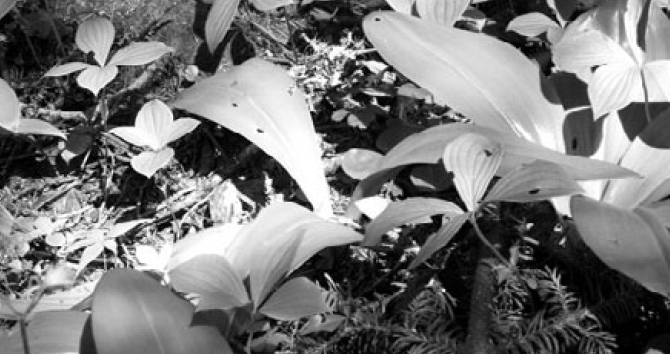 These uses – or values – are important in planning the overall management of forests in Nova Scotia. In simple terms, ecology is the interaction of living things with their environment. The word ecology is derived from the Greek word ekos, meaning household. A forest can be thought of as a household of trees, plants, animals and other living things growing together. These interactions can exist on several scales. For example, bacteria living in the soil have direct effects on the surrounding soil and on other organisms living near it. In return, the soil and other living things in the soil, have direct and indirect effects on the bacteria. This all happens on a small, local scale. At a larger scale, a tree on your woodlot has many interactions with organisms that live around and within it. For example, insects live on and in the tree, as do bacteria, fungi, and birds and mammals. The tree draws its nourishment from the air, the sun and the soil, and provides food to these organisms. It releases oxygen into the air and interacts with soil organisms that live around its roots. A community of plants and animals that associate with their environment and with one another is called an ecosystem. Ecosystems can be very complex, and involve cycles and processes which include both living and non-living things. Why is knowledge of ecology important? It is important that people understand ecology and ecosystems, since humans are very much part of the Earth’s web of life. Nearly everything that we do impacts local ecosystems and may also affect ecosystems on a much larger scale. As we gain knowledge of the world around us, we can change the way we live to lessen the impacts on our environment. For example, we learned that pesticides like DDT were accumulating in the environment, harming predatory birds such as eagles and ospreys. By eliminating the use of these chemicals, populations of these raptors have rebounded to healthy levels. 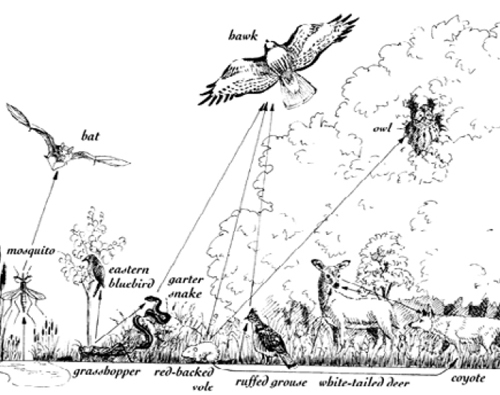 Figure 3 -are composed of living things interacting with their environment. The human population is expanding rapidly. To put this into context, during the time it takes for a tree to mature in Nova Scotia (60 – 80 years), the world population of humans may increase by 4 billion people. That’s a 50 percent increase in the population of one species. In ecological terms, most species grow at the expense of other species. What other species are we affecting? The more that humans understand the environment and our relationship with the living and non-living world around us (including forests and woodlots), the better chance we have of preventing damage to cycles and processes that are essential to life on Earth. Woodlot owners can have a dramatic inﬂuence on the health and diversity of Nova Scotia’s forests, since more than half of the province’s forests are owned by private non-industrial owners. With over 50,000 woodlots under the private ownership of more than 30,000 woodlot owners, how woodlot owners manage their forests is the single most important contributor to the health of forest ecosystems. 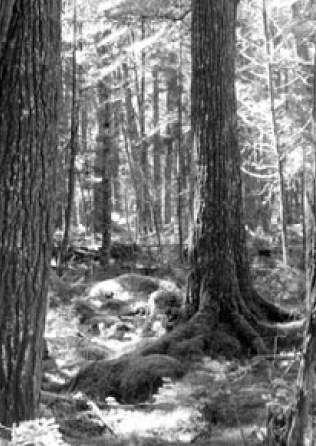 Figure 4 -Old Acadian Forest in western Nova Scotia. – Nova Scotia (NS), New Brunswick (NB), and Prince Edward Island (PE). The entire land mass of Nova Scotia is located within the Acadian Ecozone. The forest of this area is often referred to as the Acadian Forest. 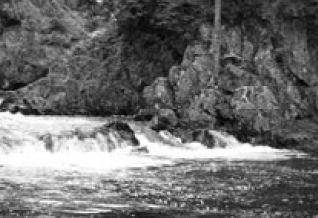 It is formed from the interweaving of the conifer-dominated boreal forest to the north and the northern hardwood forest to the south. Here, the boreal forest tree species of white and black spruce, jack pine, balsam ﬁr and white birch mix with sugar maples and red oaks. White pine and eastern hemlock are also characteristic of this transition zone. The tree species most associated with the Acadian Forest is Nova Scotia’s provincial tree, the red spruce. During the last ice age, glaciers covered Nova Scotia and much of the northern hemisphere. As the glaciers retreated northwards some 10,000 years ago, they scraped the surface of the landscape, creating new drainage patterns and mixing soils and rock. Depressions ﬁlled with water and became rivers and lakes. As the climate warmed, the newly exposed landscape of Nova Scotia became covered with spruce, ﬁr and birch. Parts of the province still exhibit these post-glacial forests. Over time, other tree species became established over much of the landscape and formed what is today known as the Acadian Forest. This diverse forest resulted from the unique topography left by the glaciers, and from the moderate temperatures and weather conditions created by the mixing of northern and southern climates. Many of the birds, mammals, ﬁsh, reptiles, amphibians and insects we recognize today also became established at this time. Forests are complex places, with interconnecting ecosystems that are composed of many species living in a multitude of environments. Managing forest ecosystems can be a challenging task, particularly when economic, social and environmental values must be considered. Developing effective ecosystem-based management tools is essential to ensure that environmental approaches are used when managing woodlots. Some of the most important tools in managing ecosystems are maps. Visually, maps can assist woodlot owners in planning forest operations such as building woodlot roads and forest harvesting. The Province of Nova Scotia has developed a set of Ecological Land Classiﬁcation maps that are based on physical features such as climate, topography, soil drainage and texture. 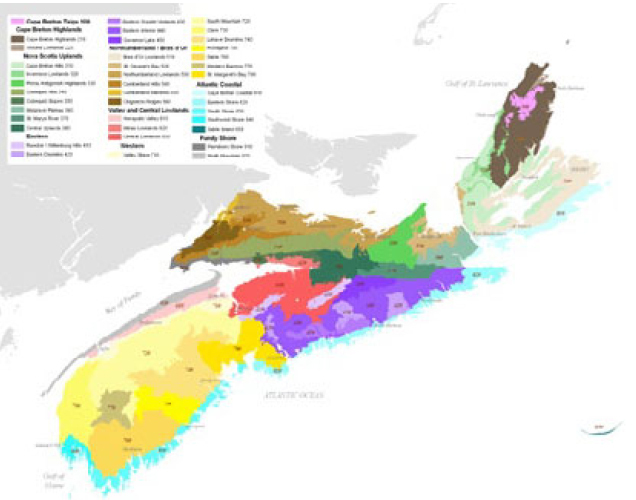 Figure 5 -Forest Ecoregion and Ecodistrict Classi?cation map of Nova Scotia (NSDNR). The development of the forests of Nova Scotia is the result of many interactions, including climate, site and soils. Located on the eastern coast of North America in a maritime region that receives some of the highest precipitation in Canada, Nova Scotia has a relatively short and late growing season. Within Nova Scotia are several climatic zones, which differ from each other in number of growing days per year, the amount of precipitation and the elevation of the land. The distribution of these zones is often directly related to their distance from the coast. Variations in climate can occur on a small scale, and are related to a woodlot’s topography and forest structure. These compact areas of distinct climates are called microclimates. Because of microclimate, frost damage can occur to plants in depressions, while sunscald can affect plants in exposed areas. Microclimate can have direct impacts on species population growth in ecosystems. In forests, climate, site and soils can have direct impacts on the health and productivity of living systems both above and below the surface of the ground. All life needs sunlight, air, water and a suitable temperature in which to live. Solar energy is required by all plants to manufacture food through photosynthesis. In the forest, not all trees and other plants grow in direct sunlight – these have become adapted to growing in the shade. Trees that require full sunlight for growth include trembling aspen, larch and white birch. On the other hand, species like eastern hemlock and yellow birch can thrive in the shade. 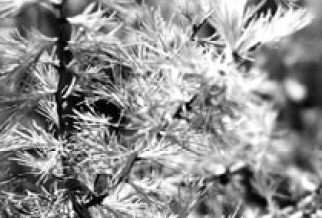 Figure 6 -Tamarack needs full sunlight for optimum growth. Perennial plants, such as trees, are sensitive to photoperiod, or hours of sunlight during the day. As the photoperiod shortens during late summer, trees begin to enter dormancy in preparation for the winter months ahead. During this time, their leaves may change colour. Insects prepare for winter by seeking shelter in the forest soil or under the bark of trees. Some bird species migrate south, while others such as blue jays, respond to the shorter days by storing acorns and other seeds. Amphibians, like leopard frogs, bury themselves in the mud at the bottoms of ponds, while some mammals prepare to hibernate to conserve energy. The movement of air through a forest ecosystem is an important contributor to the natural processes that drive ecosystems. As we will discuss in later chapters, the water cycle is an essential part of every living system. Air assists in evaporation and the movement of water from one place to another. It also helps the movement of atmospheric gases such as oxygen and carbon dioxide, and is responsible for weather patterns that are mixtures of cold and warm air. Wind can help distribute seeds from one place to another, and assists in pollinating ﬂowering plants. In a coastal region like Nova Scotia, there is almost always wind. The prevailing winds are from the southwest, which can bring airborne pollutants and, during storms, non-resident birds like turkey vultures. Figure 7 -Wind-throw is the most common natural disturbance in Nova Scotia forests. Air movement can also cause damage to forests, as when strong winds uproot trees and break treetops. Small-scale wind disturbances occur frequently in Nova Scotia, and occasionally a major wind event like a hurricane will cause extensive damage. Some tree species like oak and white pine are able to withstand higher winds because of their deep rooting characteristics, while other tree species such as spruce and aspen are more likely to be uprooted or suffer stem breakage. All plants use air in respiration, as oxygen is used and carbon dioxide, water and energy is released. In areas of precipitation, water cycles through ecosystems and provides all living organisms with enough water to live and function. Trees and other plants receive water from both the atmosphere and the soil. Precipitation can occur in the form of rain, snow or fog. In general, Nova Scotia’s coastal areas are higher in humidity than farther inland due to the presence of fog. Forests are important moderators of temperature. As the Earth absorbs heat during the day in the form of solar radiation, forest canopies help to reﬂect radiation back into the atmosphere, keeping the forest ﬂoor cool. During the night, forest canopies help prevent heat from escaping the forest ﬂoor, moderating the temperature in forest ecosystems. Figure 8 -Water shapes landscapes and provides the basis for life. Excessive cold can damage plant stems and leaves, while too much heat can cause wilting from moisture loss. Trees like spruce and ﬁr have waxy coatings on the surface of their needles which help prevent this. While animals can move around to escape extremes of heat or cold, mammal species in the Acadian Forest have adapted to temperature changes by growing heavier coats of fur or hair during winter, or by seeking shelter in dens. During periods of hot weather, the respiration of animals increases, releasing moisture. Unless the moisture is replenished by drinking water, most animals cannot tolerate high temperatures for long periods before too much water is lost. Temperatures that are too warm or too cold for extended periods cause stress within ecosystems. When climate changes, many species are unable to adapt and are replaced by other species that are better suited to the climatic conditions. 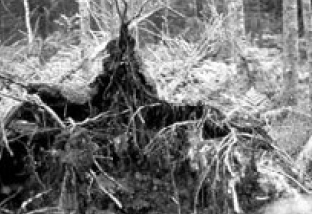 Figure 9 -Forest vegetation helps keep the forest floor cool.